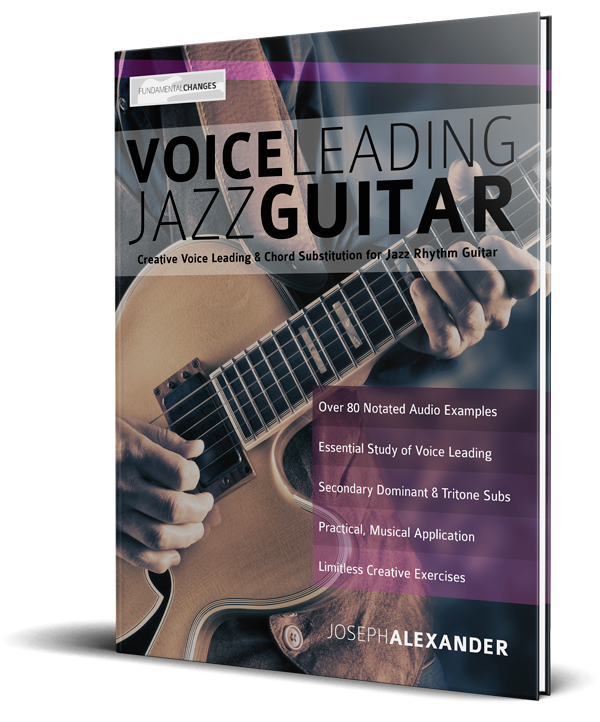 Voice Leading Jazz Guitar teaches you the most important principles of voice leading, substitution, secondary dominant and tritone use to quickly make your jazz rhythm guitar parts musical and rich. 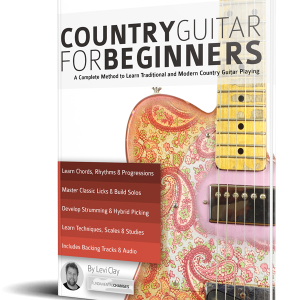 Using real life musical examples that you can see and hear, you will quickly learn to open up the fretboard and gain deep insight into chords and harmony. 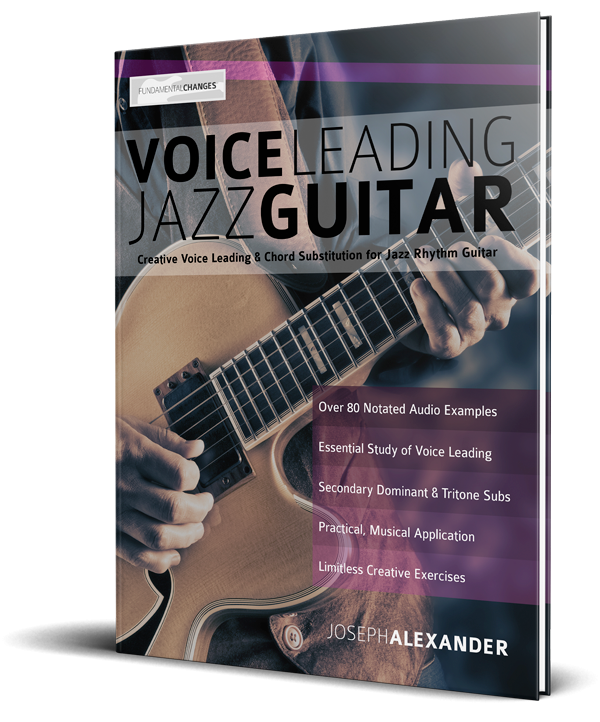 With over 80 notated audio examples and hundreds of diagrams, Voice Leading Jazz Guitar shows you step by step how to move between jazz chords in the smoothest possible way. 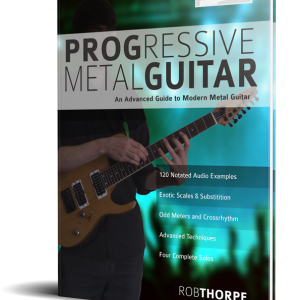 Get away from ‘standard’ root position chords, and learn to see the fretboard in terms of intervals and beautiful extensions. Move away from jumping around the neck and learn to change just one or two notes in a chord to form stunning tapestries of sound. Voice Leading Jazz Guitar focuses on building creative chord voicings on real life jazz standards. This is not a book full of boring exercises, each example relates to common jazz chord progressions to provide context and insight into the techniques used. Do you find yourself limited to chord voicings with roots on the 6th, 5th or 4th strings? Do you only have one or two ‘routes’ through a jazz progression? 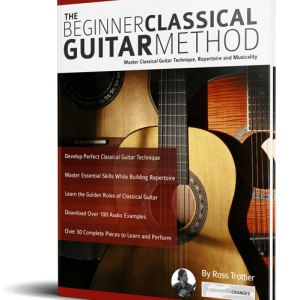 Do you want to understand the basis of chord melody? Do you want learn when, where and how to use beautiful substitutions and extensions? All too often books on jazz harmony are dull, elitist and only for those who are academically trained. 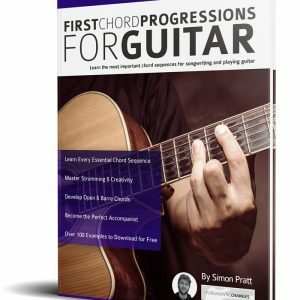 This book is different and takes you on a simple logical journey from first principles and teaches you the techniques used by the best jazz guitarists in the world to find unlimited ways to play any jazz chord progression. This is a new book, but check out our 2000+ 5* reviews on our other titles.